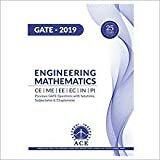 where can i get study material and online test series for the preparation of Gate in chemistry(CY) stream ? At present we do not have any certain info. If we find any we will notify you as soon as possible. Hello sir i am in final year msc nanotechnology, i have completed bsc in chemistry am i eligible to for gate exam. M Sc candidates currently in the final year or already completed are eligible for GATE 2017 exam. For more information please follow below link. I have back log in M.Sc. chemistry. 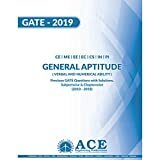 I want to know if I am eligible for GATE exam or not. Plz guide me. You have time period till the month of April-May of the year 2017 for completing your M.Sc. course. As final year candidates are allowed in GATE 2017 so you would consider as final year candidate for clearing those remaining papers. So in GATE, which paper should I opt so that PSUs like ONGC,IOCL consider me eligible for an interview call ? I’m in big confusion because my graduation and PG is not exactly in same course. You can choose a subject for GATE paper which is closely related to your masters(non-engineering candidates) / closely related to your bachelor(engineering candidates). 1. You are engineering graduate or non-engineering graduate ? 2. What option(s) you want to choose for GATE paper ?